The President of Phuket Hotels Association since January 2016. The Thai family-owned luxury resort Trisara has relaunched in December 2016 after completing extensive renovations. Committed to constantly reimagine how guests encounter its rich local heritage, the award-winning all-pool-villa beach resort will introduce new villa categories, a holistic spa, unique restaurants and innovative personalized guest services. 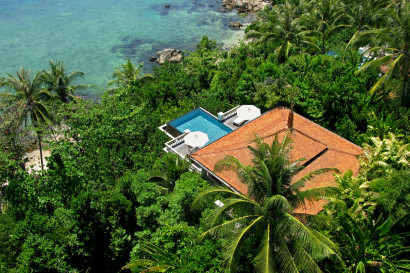 Trisara is set amidst tropical forest-covered hillside in the quiet north-western coastline of Phuket. 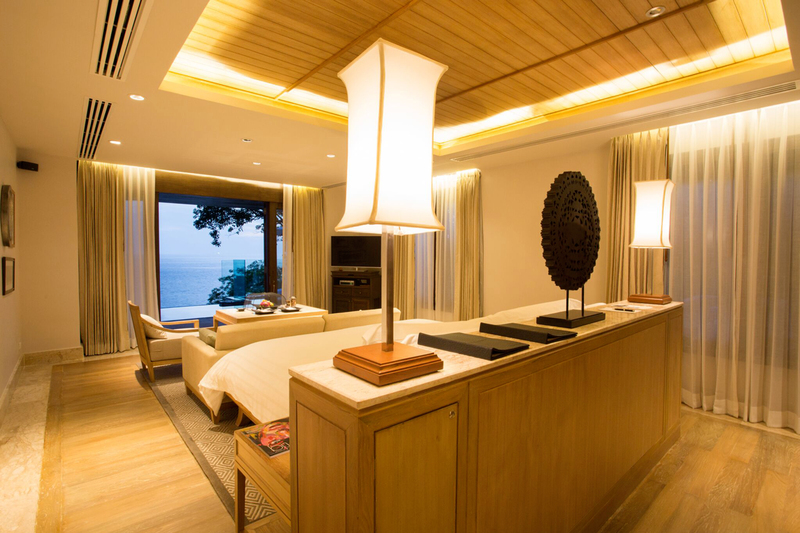 It is one of Thailand’™s most luxurious and exclusive resorts. 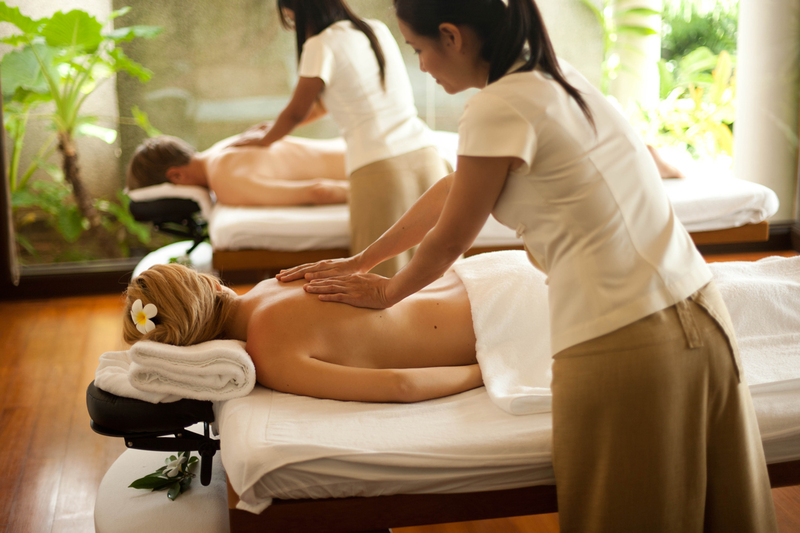 Deriving its name from the Sanskrit language for “third garden in heaven”, Trisara truly is a haven for the senses. A sanctuary of privacy, space and simple good taste. Trisara’s sumptuously appointed 42 Pool Villas and Pool Suites enjoy wonderful views of the Andaman Sea from their various vantage points on the hillside. The resort is set within 40 acres of gardens that rise gently from the seafront between the two private headlands and pristine beach, ensuring absolute privacy from any other developments. Phuket, June 2016 –Trisara, in Sanskrit “The Garden in the Third Heaven” is Phuket Island’s most special resort experience. 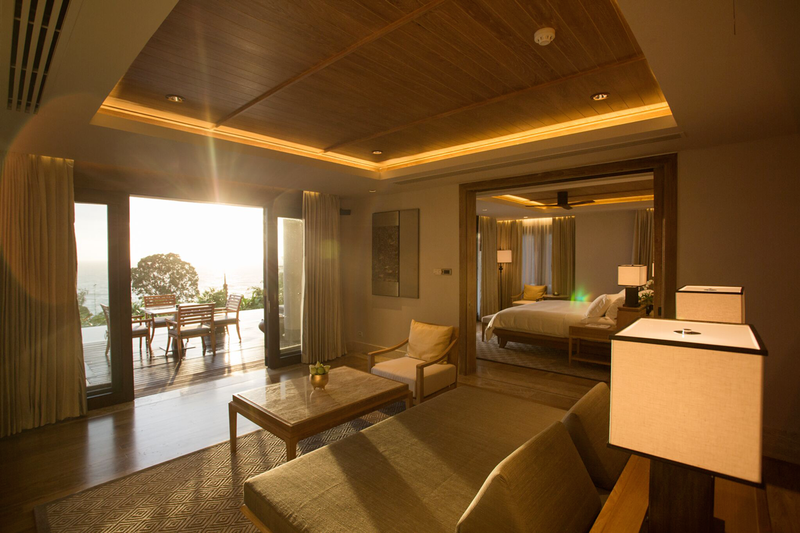 Wrapped in a tropical forest and exotic gardens, the 39 spacious ocean facing pool villas and 20 two- to seven bedroom private residences all embrace a quiet bay on Phuket’s sophisticated and natural north-western coastline, just 15 minutes from Phuket Airport. The multi bedroom residences on the resort’s Northern and Southern headlands enjoy particular popularity. With dedicated cooks and housekeepers who prepare home-cooked meals and anticipate your every wish, these villas are the epitome of privacy and luxury. 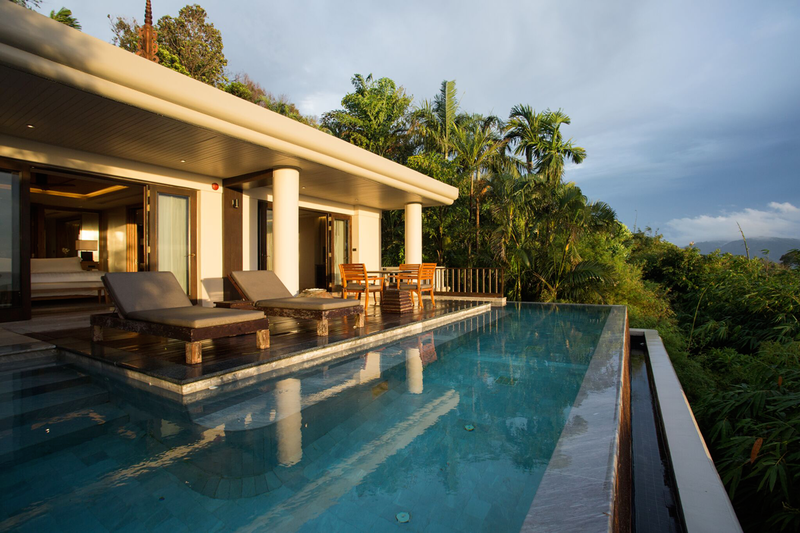 Travelers looking for a peaceful vacation spot can now set their sights on three additional residential villas on offer by Phuket’s most sought after luxury resort, Trisara. Enjoy first-class features such as your very own Martini bar and 360° panoramic views overlooking the Andaman Sea. Allow the villa’s dedicated cook and housekeeper to care for all your needs and prepare home-cooked Thai and Western dishes from the fully equipped kitchens so you can simply sit back and relax. The new Ocean View Pool Junior Suites are perched on Trisara’s highest vantage point and feature a reflection pool that seems to float atop the resort’s manicured jungle. 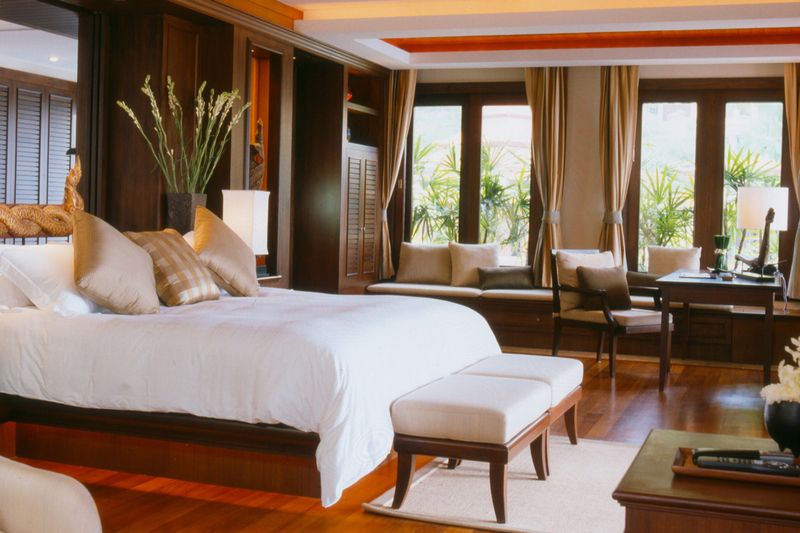 Beautiful lime-washed teak wood and Thai silk create an ambiance that is unmistakably Thai, elegant and timeless. On the same level, the larger Signature Ocean View Pool Suites offer an oversized king bed, ensuite bathroom, a living and dining area with convertible sofa bed, as well as an expansive deck with a 9 meter infinity pool. 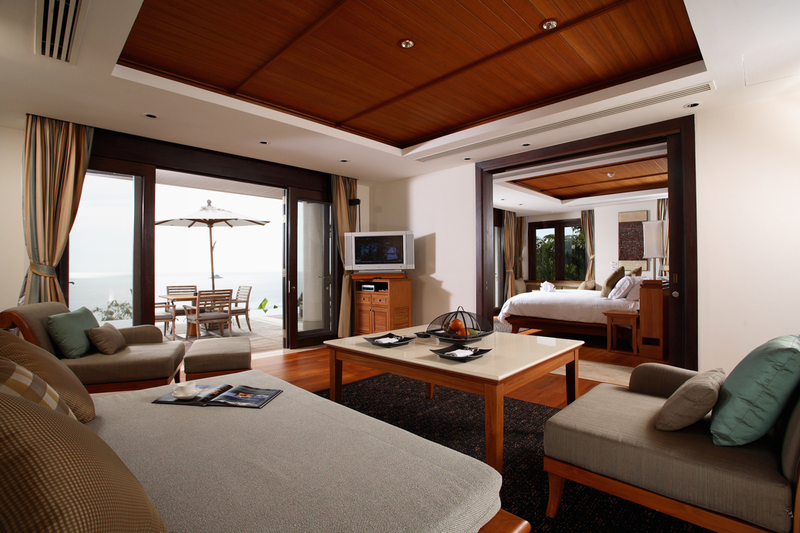 All suites overlook Trisara’s private beach and the turquoise waters of the Andaman Sea. The newly renovated and renamed Jara Spa takes guests on a journey of balanced wellbeing. Its holistic 5 pillar philosophy is inspired by the century old Ficus tree that envelops the spa, and the believe that by nourishing the roots, engaging with the earth, providing strength to the core and taking care of the inner self, outward beauty will ultimately blossom. Tailor-made “Discoveries” allow guests to achieve total wellbeing by addressing some or all of the 5 pillars. 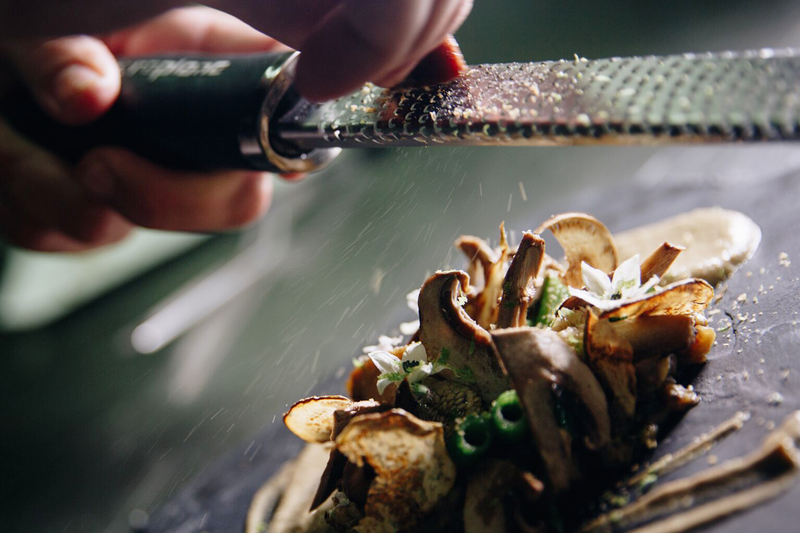 PRU is a new dining experience that seeks to elevate the farm-to-table-movement. It is a tribute to the unique terroir of the Andaman region. Grown on its own farm “Pru Jumpa”, foraged locally or sourced through a community of local farmers, fishermen and purveyors, each ingredient tells a unique story as it is transformed into original and inventive cuisine by Chef de Cuisine Jim Ophorst, Thailand’s contestant in the San Pellegrino Young Chef 2016 competition. Seafood at Trisara has also been relaunched to give guests an authentic taste of the destination’s culinary culture. The new menu is inspired by traditional local “mama” recipes passed through the generations, offered in a relaxed, ocean front setting. The new guest experiences create memorable encounters with the destination’s local heritage for guests to share with loved ones. Trisara’s DDEN, the world’s first resort production studio with professional photographers and videographers helps guests tell their own stories through novel digital formats, including photo, video and virtual reality. Committed to constantly reimagine how guests encounter its rich local heritage, the award-winning all-pool-villa beach resort will introduce new villa categories, a holistic spa, unique restaurants and innovative personalized guest services. 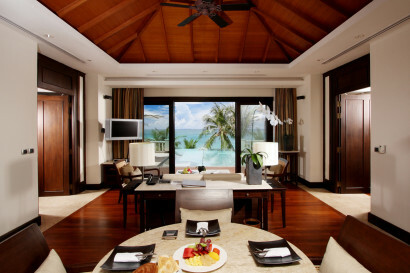 • Luxurious and private all pool-villa resort. • All villas are ocean-facing. • Multiple-bedroom (2 up to 7) privately owned residential villas (with live-in maids and a chef) are either oceanfront or are overlooking the sea. • All pool villas, suites and private residences are designed with simple, rich interiors and enjoy a wonderful sense of privacy. • Only 15 minutes from Phuket International Airport. • Our 1,000 square meter teak deck stretched along 60-metre beach lined with soft white sands offers intimate experience in hosting weddings, meetings, private dinners and other celebrations. • The 1,500 square meter Jara Spa is comprised of six private treatment suites, each 100 square meters of total space. • Royal Trisara 6 Hand Massage, a unique combination of Traditional Thai Massage, Swedish massage and Acupressure, by 3 therapists. • Yoga & Meditation are a specialty, with our seafront Yoga / Meditation sala; a haven of tranquility situated on the water’s edge and fringed with coconut palms. Create your own travel story in digital formats ; photos, VDO or Virtual Reality Experience assisting by our professional team at D-Den (Director’s Den) service at Trisara. – Activities : Kids Yoga, Balloon Art, Wooden Game, Lego Competition, Party hat making, Kids stretching, Learning Thai Language, Body & Face Painting, Make your own Door Hanger, Trisara, Photo shooting etc. • Number of rooms, (keys) in all: 39 hotel villas and suites, plus 24 residence. • PRU is a new dining experience that seeks to elevate the farm-to-table-movement. 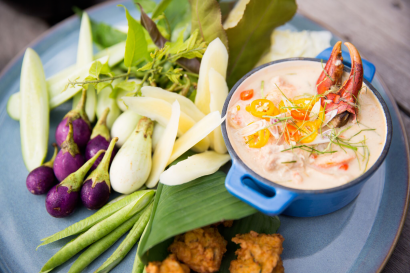 • Seafood ‘s new menu is inspired by traditional local “mama” recipes passed through the generations, offered in a relaxed, ocean front setting. • The Bar overlooks the ocean and main pool, and spills outside to the open air decks over the beach, with day beds and comfortable lounges to relax in. Our cocktails and tapas are renowned as the best on the Island and our bar is the best place to watch the daily sunsets. Trisara ‘s bay is fringed by a coral reef that nestles against our white sand beach. At low tide, it forms stunning rock pool formations and at certain tides (normally only 1 – 2 hours daily) it is exposed. A floating jetty is installed between December and April which enables guests access to the sea and our floating teak pontoon at all times of day, irrespective of the tide. The one great advantage of our natural reef line is that it provides protection from the intrusion and noise of jet skis and thus our beachfront and pool areas are very private and secure. Between the months of December and April, Trisara offers complimentary non-motorised water sports including snorkeling, sailing, kayaks, windsurfing and stand-up paddle boards. We also have a sports cruiser available for fishing, private charter and short snorkeling trips to the island in front of the resort. Our gym is located below the spa with sea view. We offer guests a full selection of weights, cardio machines and exercise equipment. Dedicated personal trainers can also assist with exercise programs and design what best suits your needs. A number of our recreation staff are certified swimming instructors who can assist you or your children in learning to swim or to improve your technique in the main pool or ocean. • Trisara Board Meeting, 60 sq. m.
• Trisara Training room with outdoor terrace, 120 sq.m. With interactive board and state-of-the-art audio-visual equipment. • Trisara specialises in hosting weddings, meetings, private dinners and other celebrations. Located in a private cove, Trisara provides an intimate atmosphere and offers incredible ocean views from all parts of the resort. 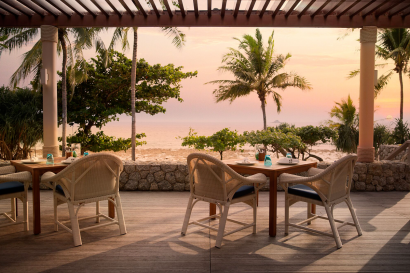 Our 1,000 square meter teak deck stretches along a pristine private beach lined with soft white sands. Our dedicated event planners will be happy to work with you and our talented food and beverage team to create options for special experiences at one of many locations. • Trisara is perfectly suited for intimate corporate meetings and conferences. We offer meeting rooms with state-of-the-art amenities with panoramic sea views, making it ideal for corporate events, from a high-profile product launch or a relaxing evening with the executives and associates. In addition to the spaces within the resort, we also offer a number of magnificent Private Residences for fully customised event set-up.